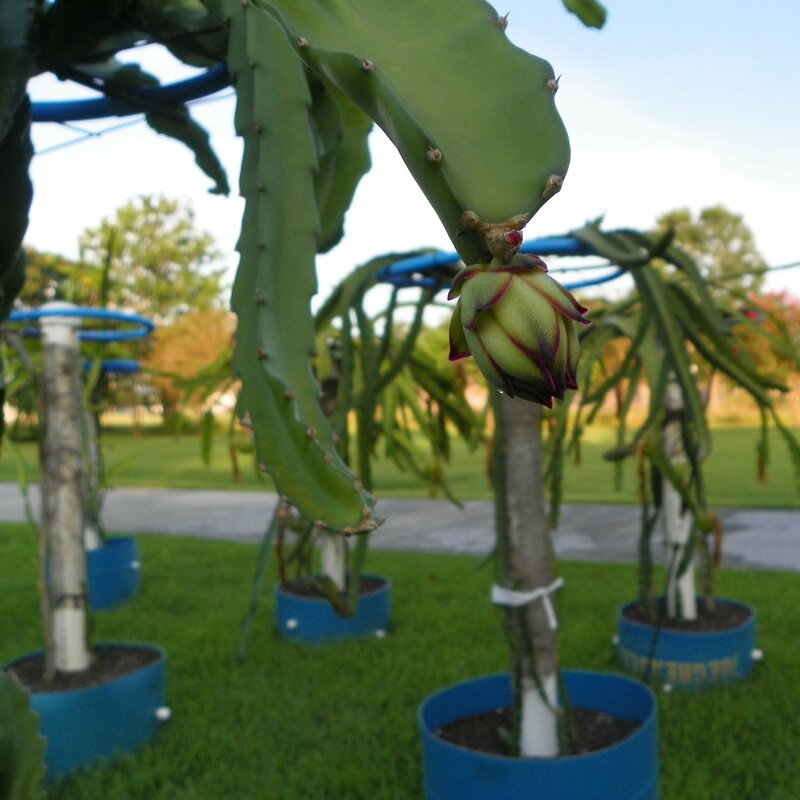 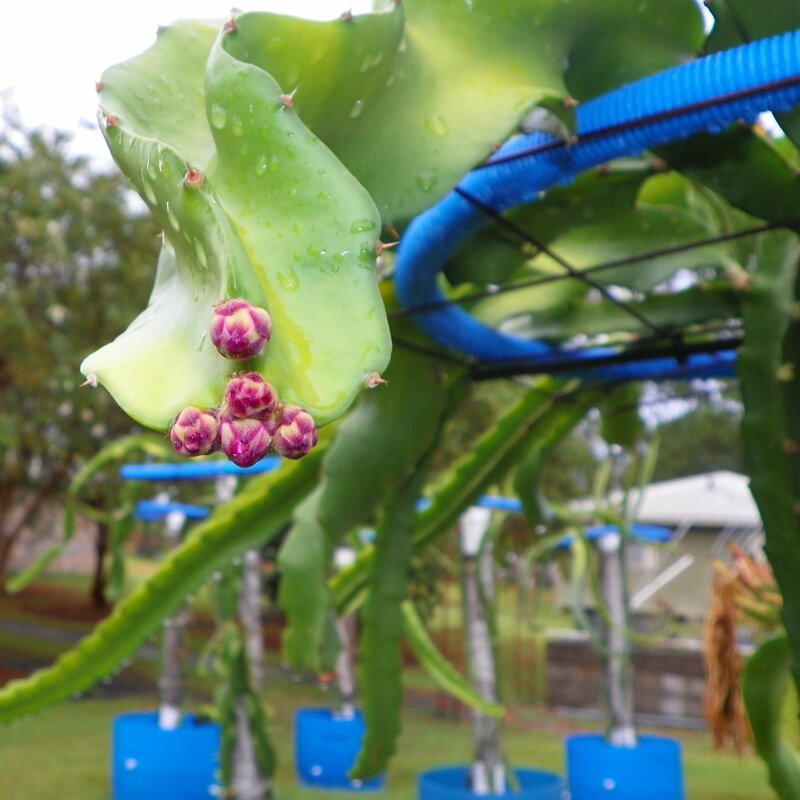 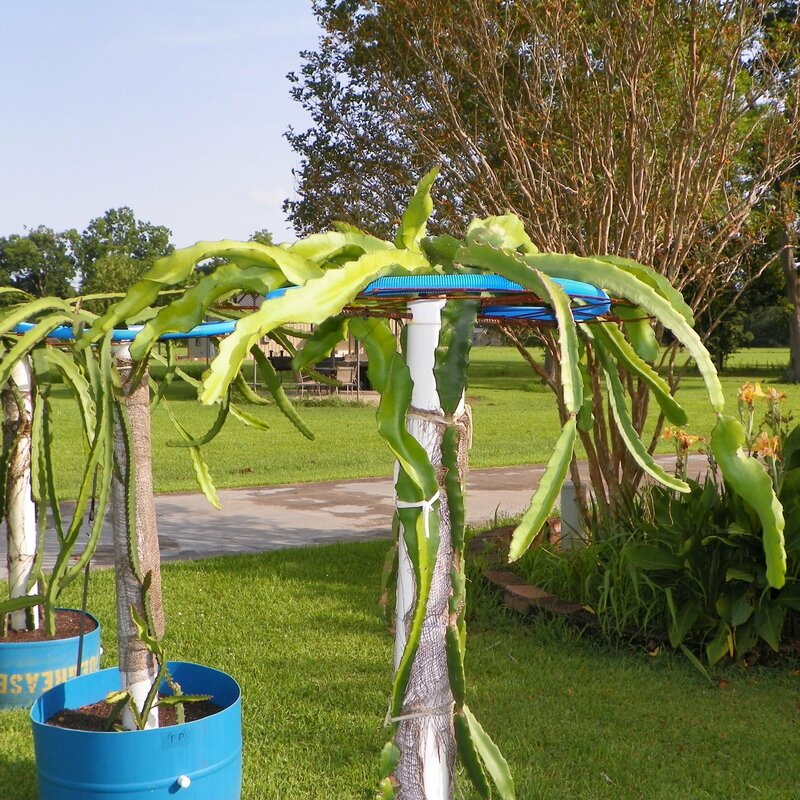 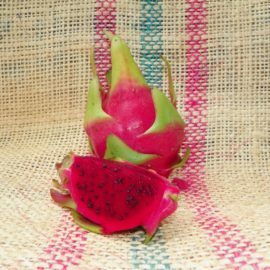 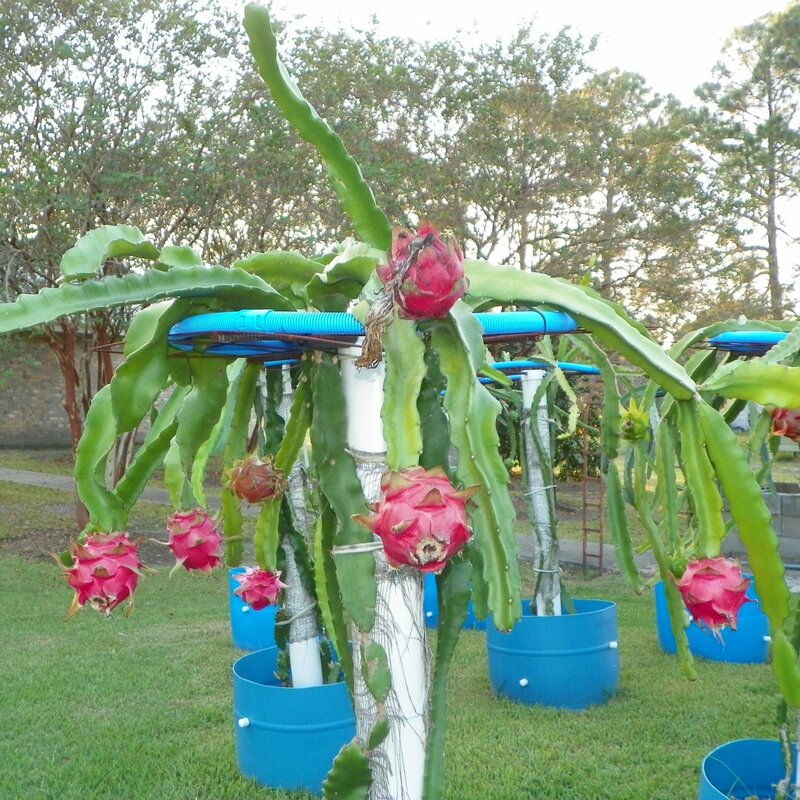 Makisupa Dragon Fruit is a hybrid variety that comes from Hylocereus undatus and Hylocereus polyrhizus. 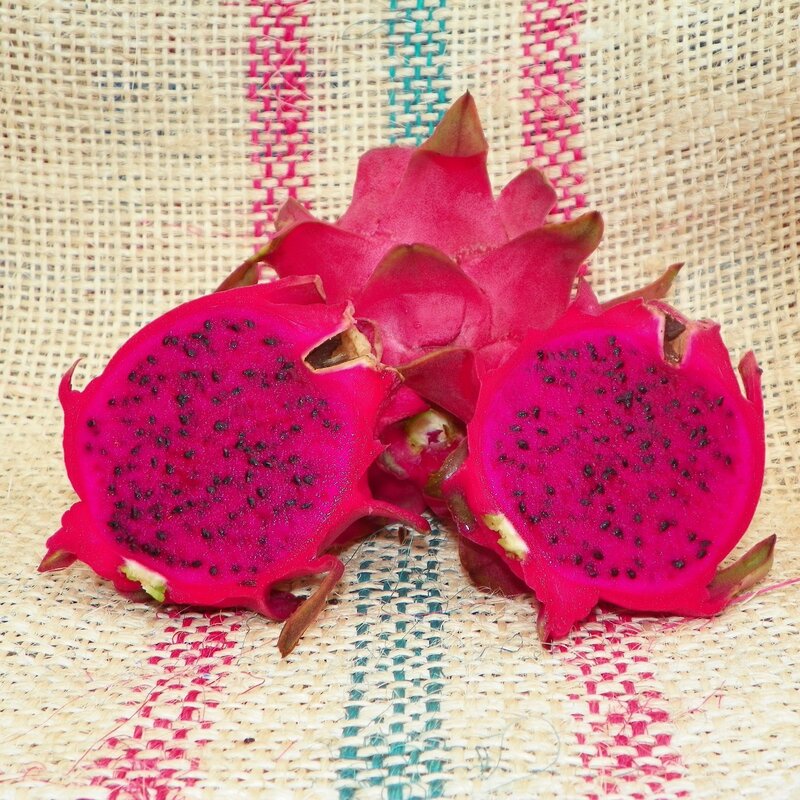 The Dragon Fruit variety is an excellent red fleshed fruit with a sweet yet slightly astringent taste. 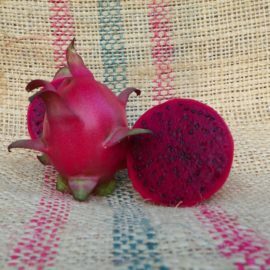 The fruit is attractive having short green fins spindled around the reddish pink surface of the fruit. 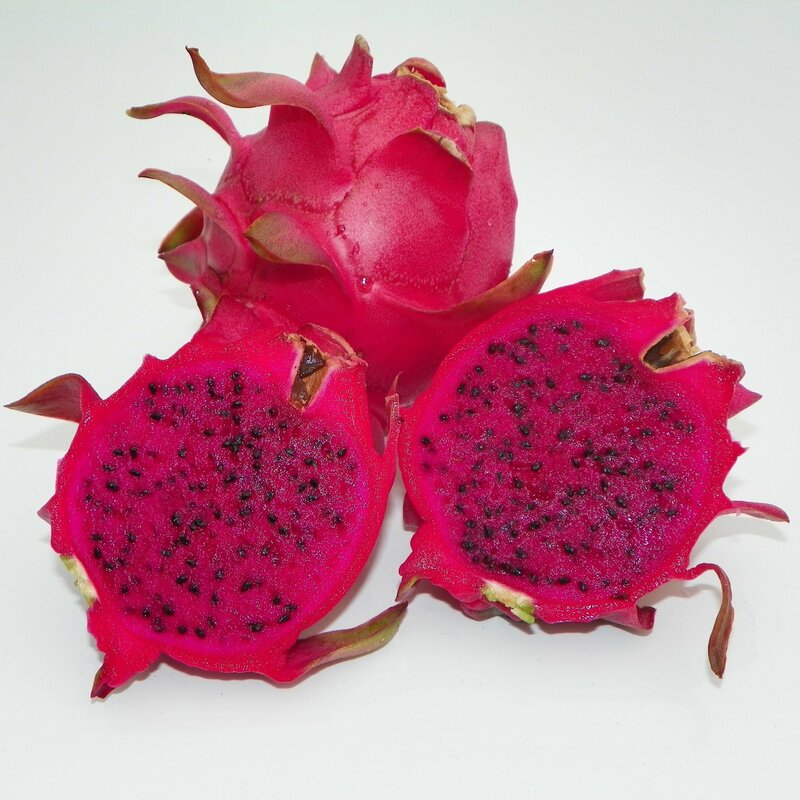 The fruit of this variety is medium to large weighing up to 1 to 1.25 pounds with an average brix rating of 15. 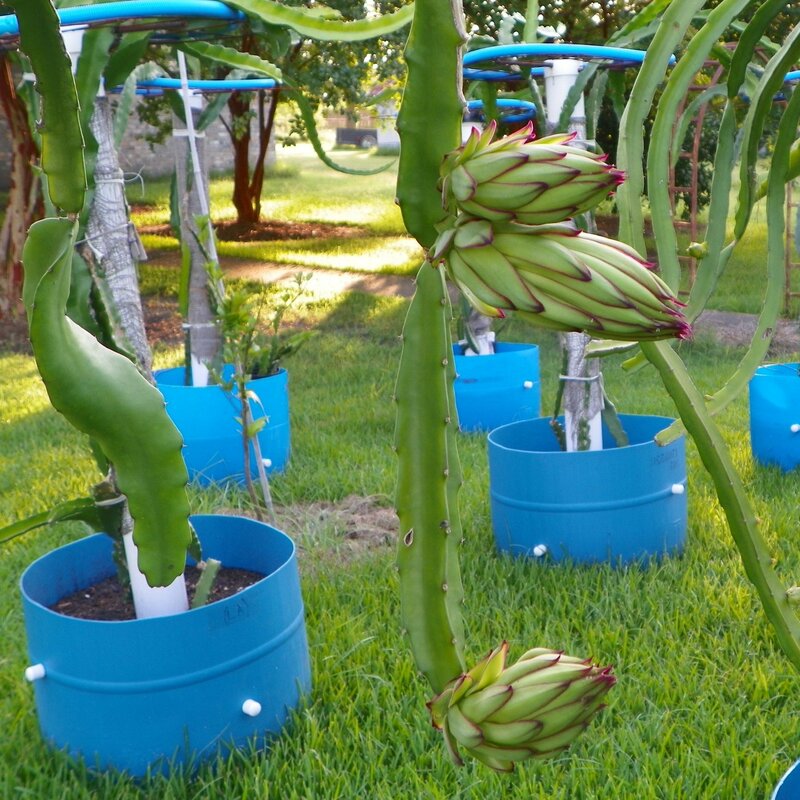 This variety is known to be self-pollinating however I have needed to cross it in order for fruit to set. 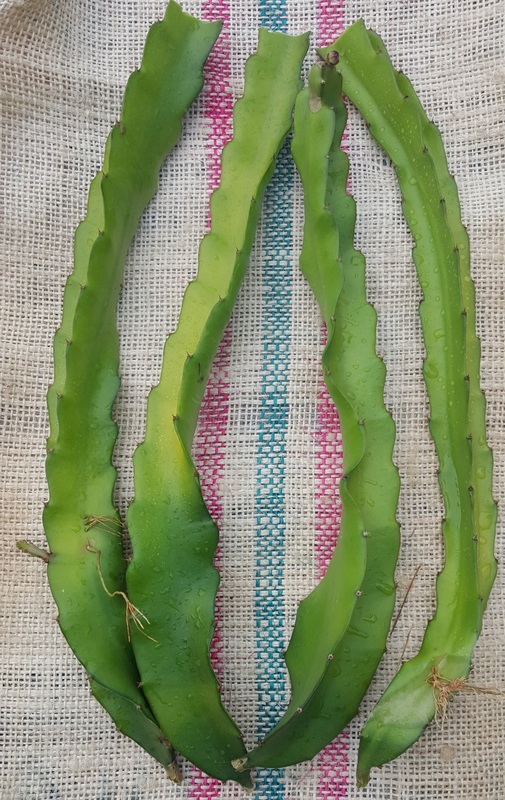 The stems are meaty three sided growth with small spines on the rib. 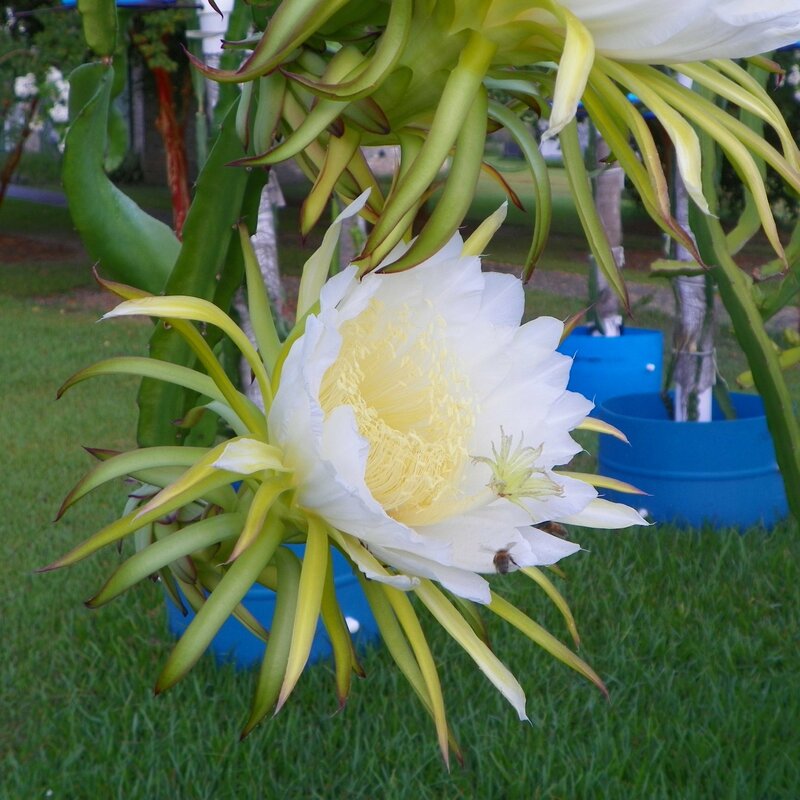 The variety is a heavy flower producer so if the quantity is what you are looking, look no more. 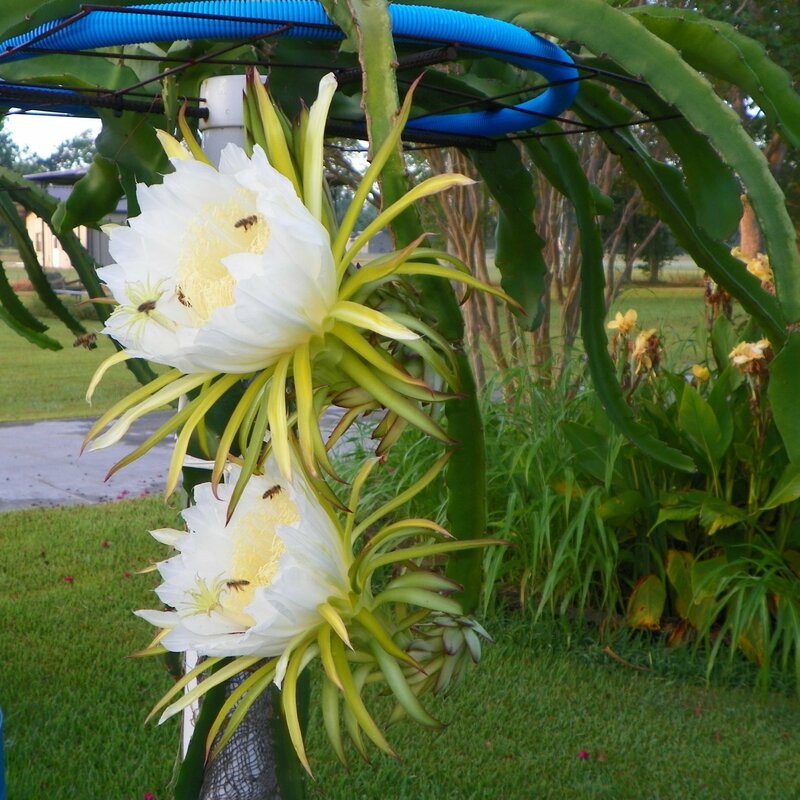 Having extra large white-yellow blossoms measuring 15 inches across it’s easy to see how hummingbird moths or bats can’t resist it. 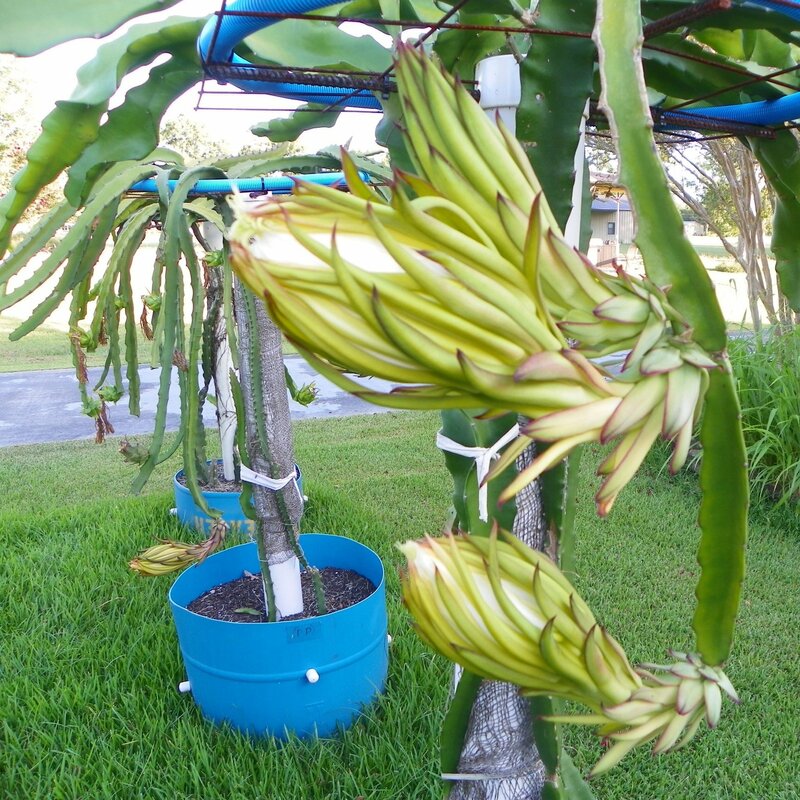 This variety was acquired from a grower in Florida.